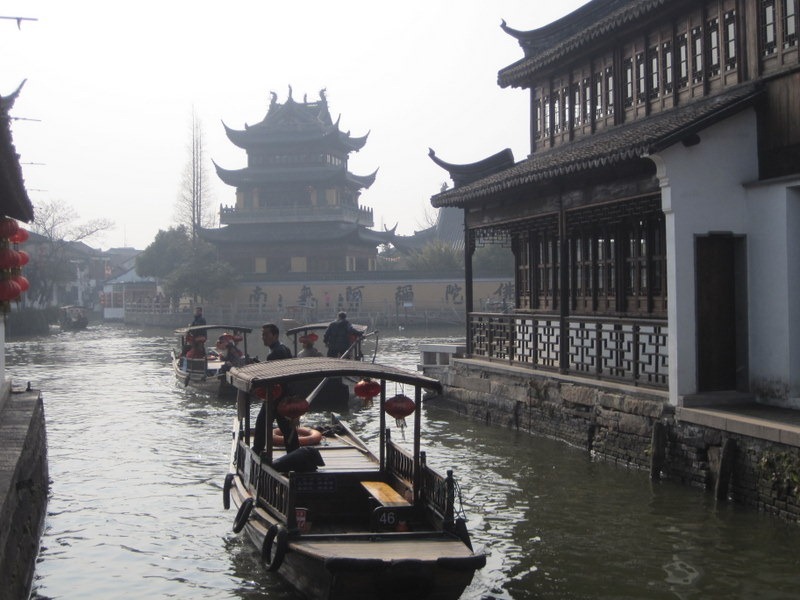 On January 26, 2012, my family and I traveled to Zhujiajiao, an ancient village in Qingpu District about 45 minutes west of Shanghai. 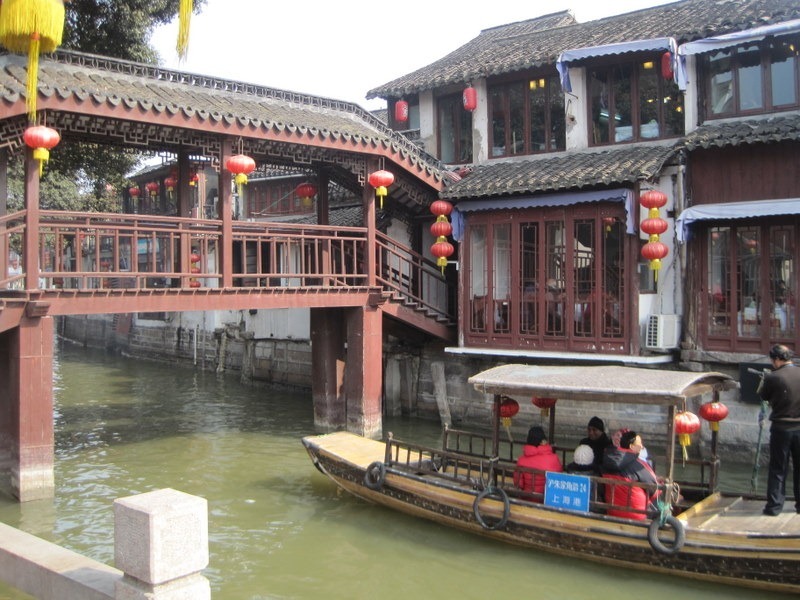 Zhujiajiao bills itself as the “Venice of Shanghai.” Why not the “Venice of China”? 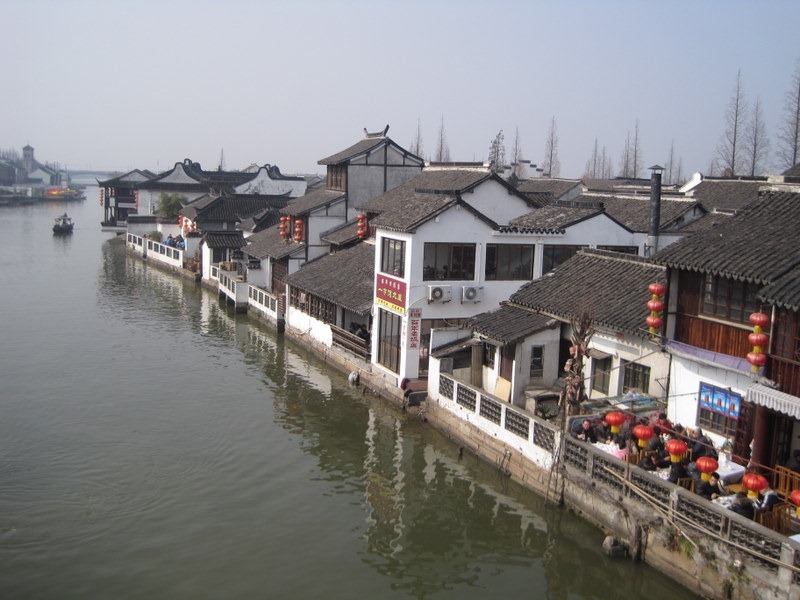 Well, perhaps because China has hundreds, if not thousands, of traditional villages like Zhujiajiao scattered throughout the country. 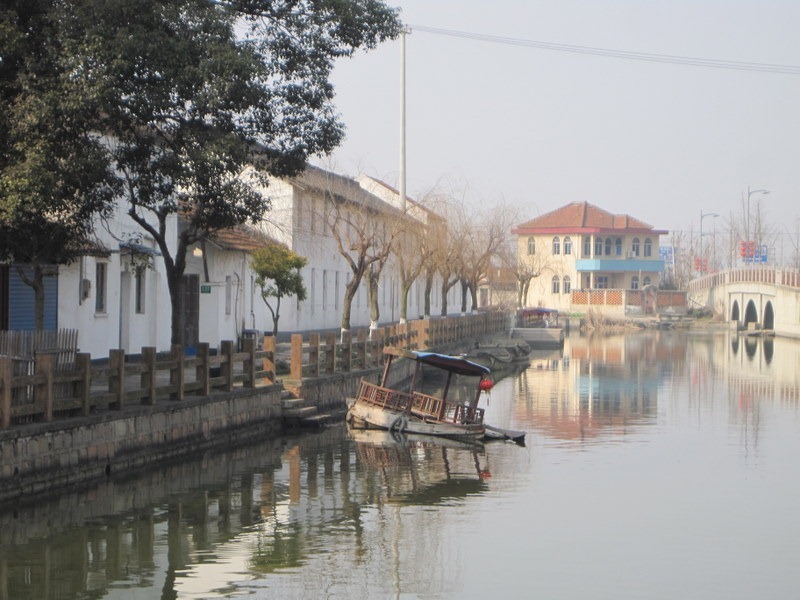 Founded over 1,700 years ago, Zhujiajiao has canals, wooden oar-driven tour boats, stone arch bridges, and plenty of traditional Chinese architecture. 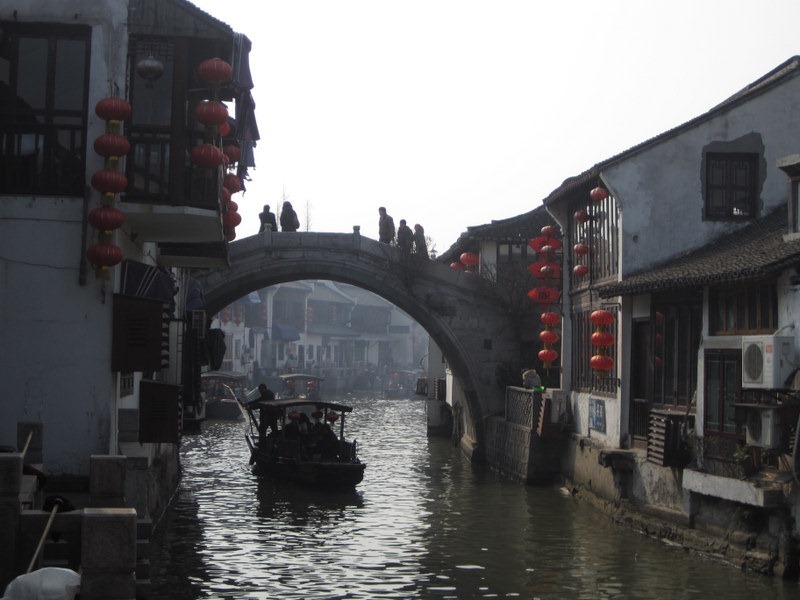 However, it bears little resemblance to Venice, Italy. 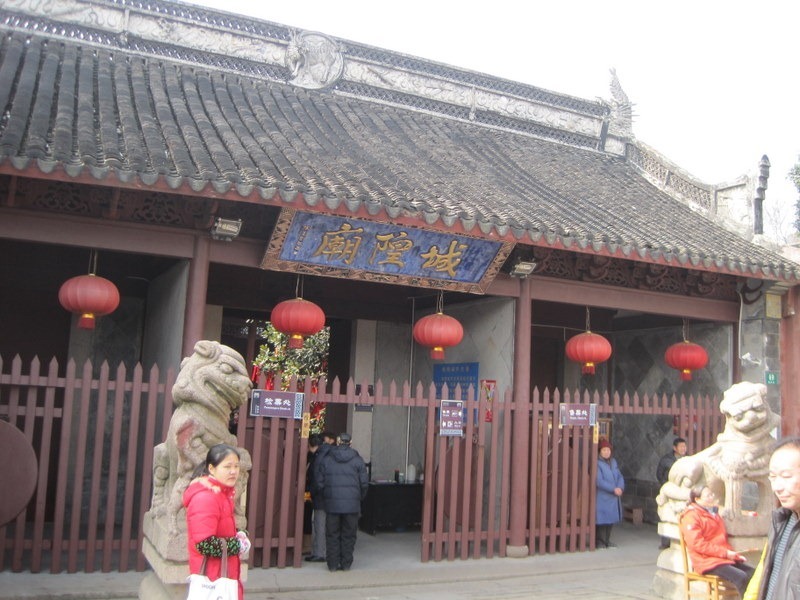 Some of the village’s attractions include a Buddhist temple that rises above town, a small Temple of the Town God dedicated to the spirits that protect the village, and a theater that offers performances of the Chinese classic play The Peony Pavilion during the summer months and on Saturdays. 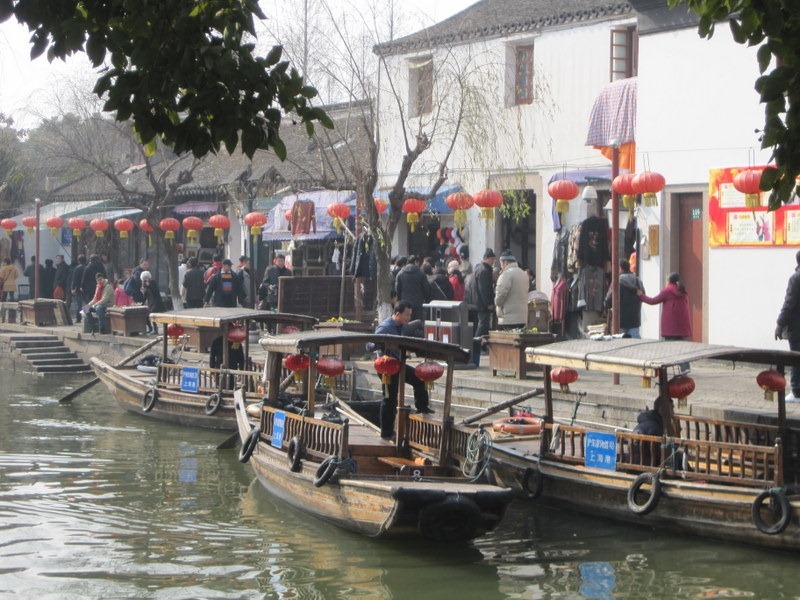 The traditional Qing Dynasty-era architecture that lines a picturesque network of canals is a main attraction, as are the Chinese foods, beverages, and souvenirs for sale from many vendors. 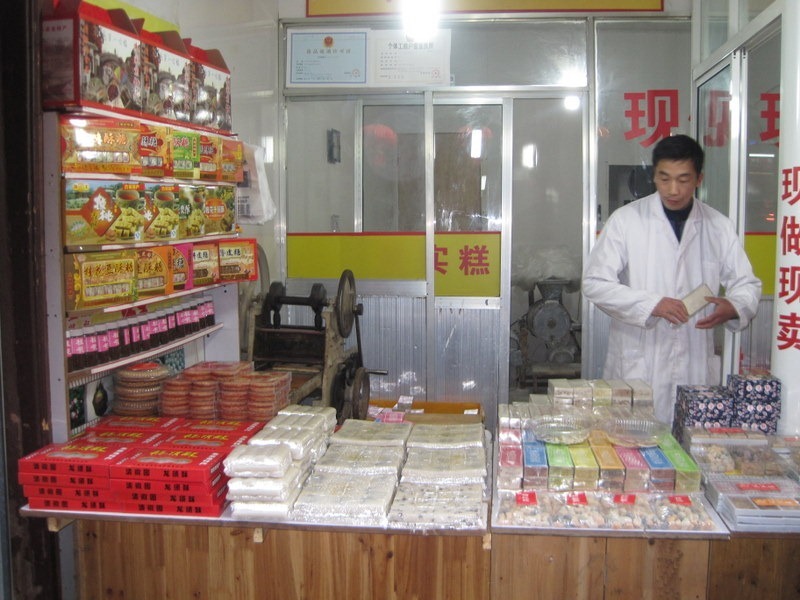 Lotus root, soy beans, pork, toad, and seafood are local specialties. 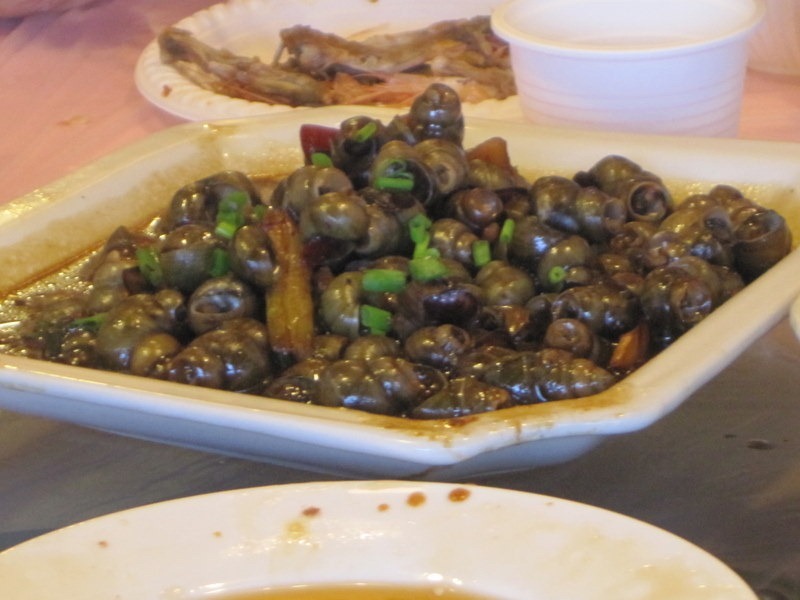 The snails aren’t your garden variety escargot. 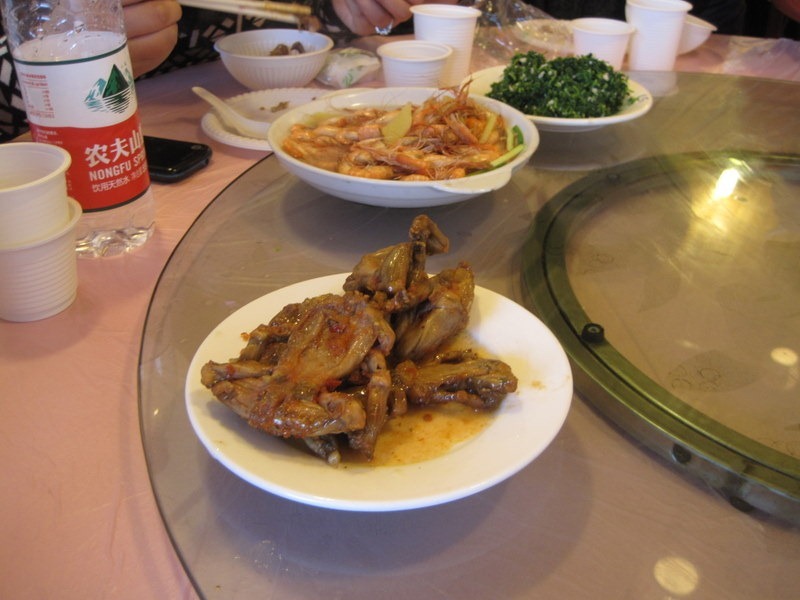 Dried, not fried, chicken is also a local favorite. Not recommended for tourists. 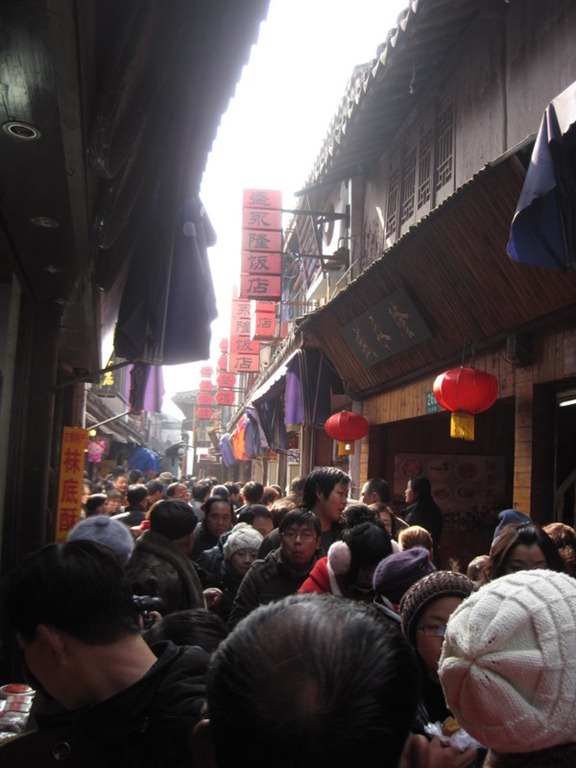 The crowds during Chinese New Year were horrific. We thought we were going to be crushed in an alleyway! Fortunately, body heat kept us warm on a cold winter day. 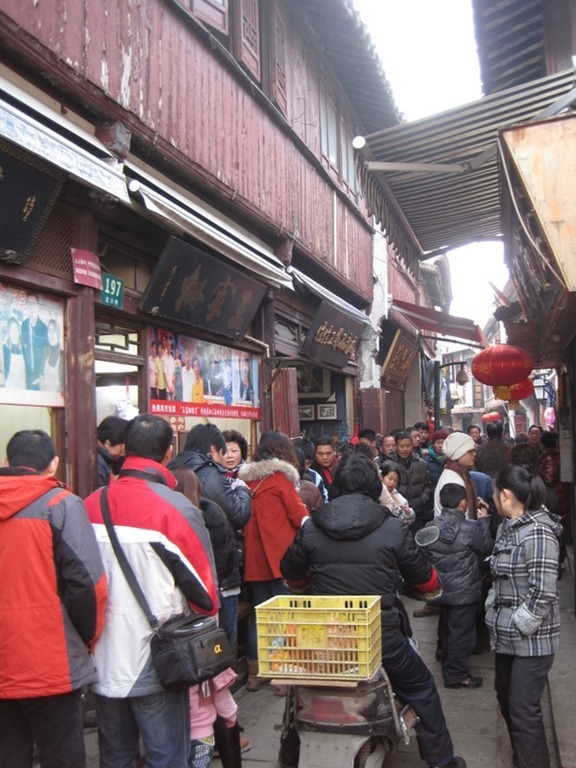 In spite of the crowds, the atmosphere was festive during our visit. 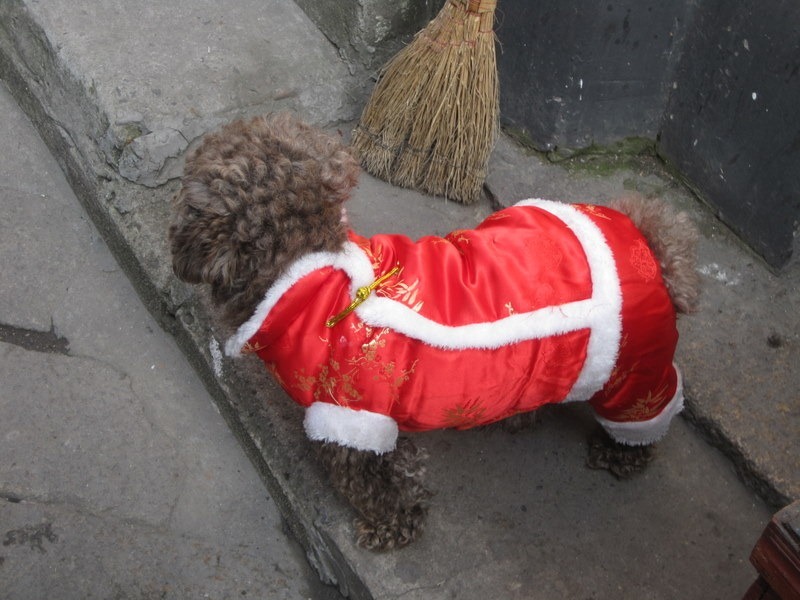 Dragon boats with drums beating sailed in the canals, and well-groomed dogs sported bright red Chinese New Year coats. 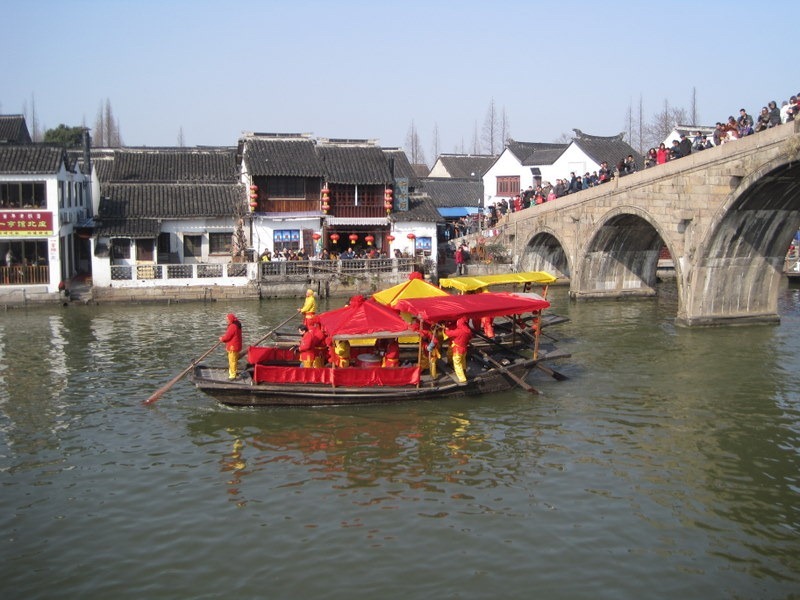 Red lanterns with gold tassels festooned the streets. 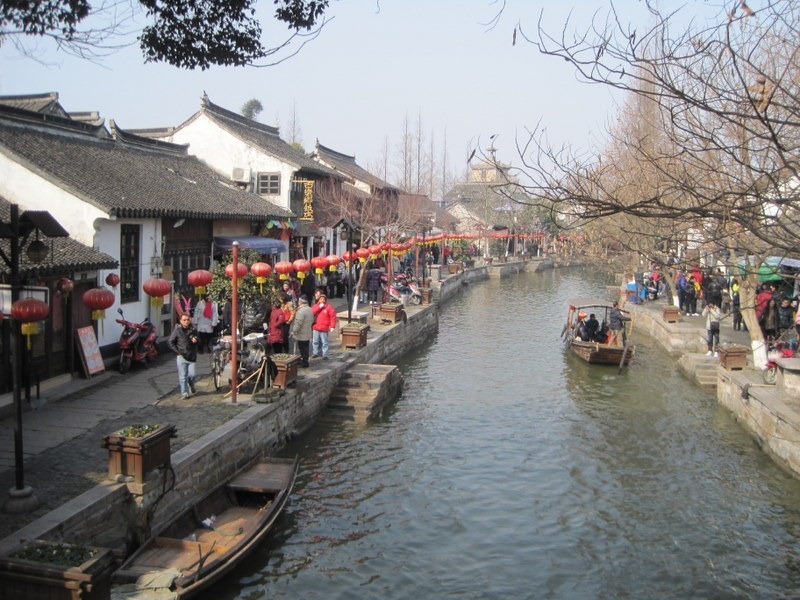 Zhujiajiao is a nice daytrip from Shanghai along with Da Guan Yuan, a park on the shore of Dian Shan Hu (lake) that replicates the garden featured in the classic Chinese novel The Dream of the Red Chamber. Just don’t go when it’s busy! Here are some short video clips from our visit. 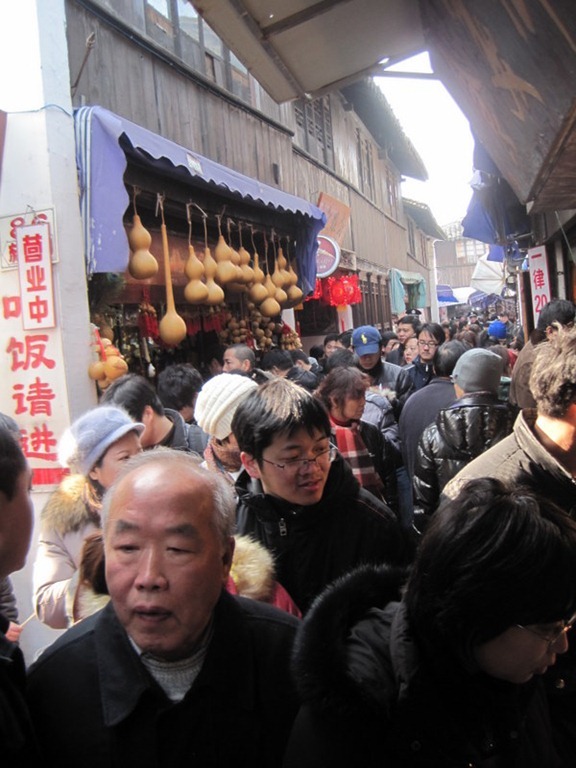 This has been a busy week in China with family and Chinese New Year’s festivities. Last night we could barely sleep as the locals blew off rounds of fireworks to welcome the god of wealth on the 5th day of New Year’s. I have to say that I’m looking forward to some peace and quiet – not to mention warmer weather – back in Thailand. We return home to Bangkok tomorrow. Great post and photos! Thank you for sharing this.. makes me want to visit those places even more! P.S. Currently working on my next Jade Snow International Adventure, to take place in Asia, so this is all especially relevant. 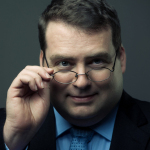 I like your commentaries by each photo. 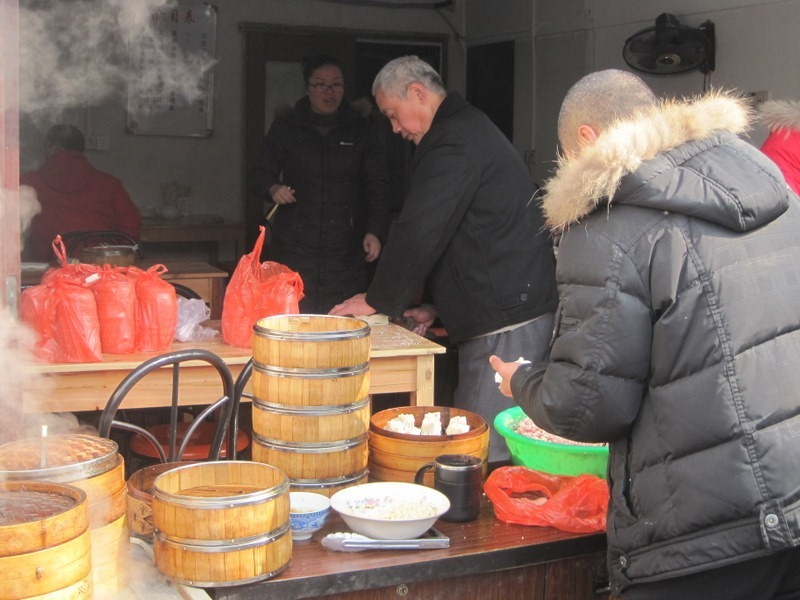 Having never been to China, I find it helpful and entertaining. 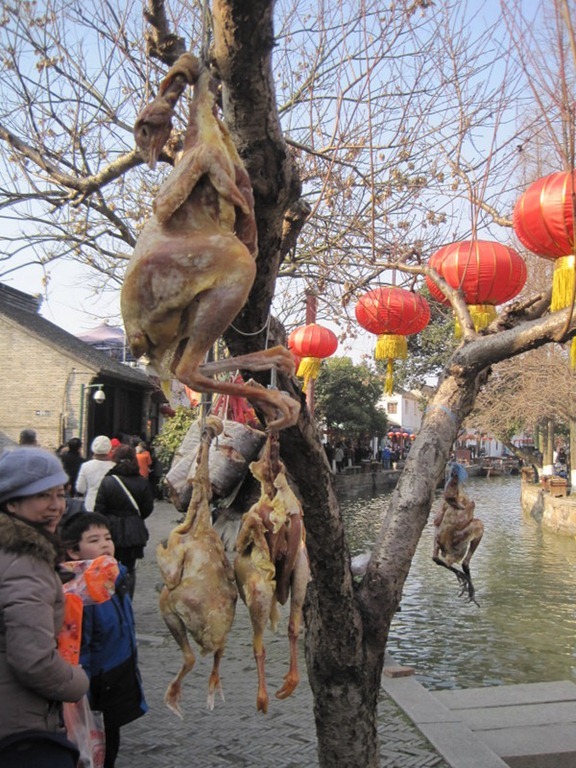 I can’t wait to show Caleb the photos of the dried chickens. Nice pictures! I’m planning a trip there in May. 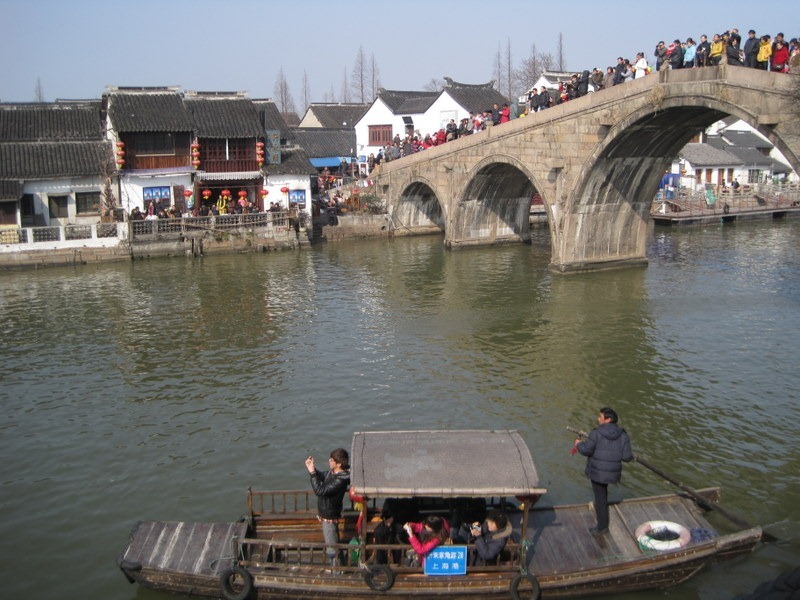 Do you still remember how to get to Zhujiajiao by bus? Or did you take a taxi there? Hi Michelle, thanks for writing. I actually went by car. Taxi may be your best option to go there. If there is a bus line, you will probably have to change busses 2-3 times. It’s worth the effort, though! Have a great trip.